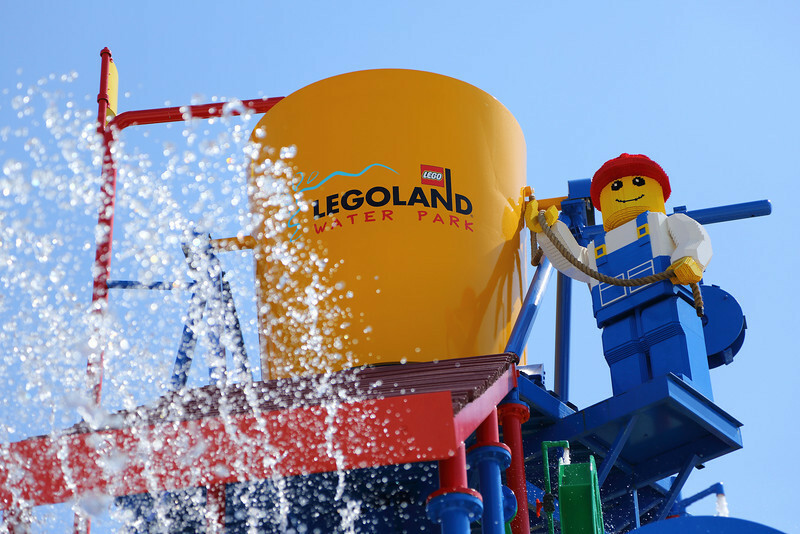 Over 5 days and counting to the official grand opening of the newest aquatic addition to LEGOLAND Florida theme park in Winter Haven, Florida. 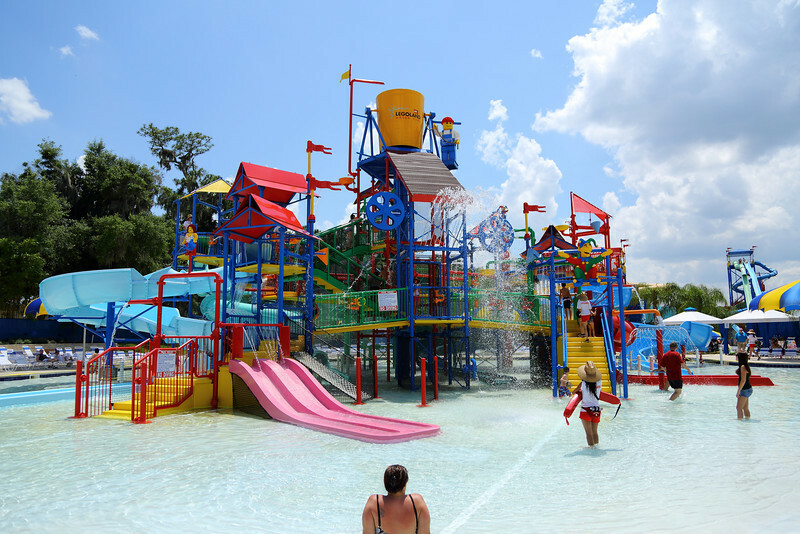 May 26th, 2012 marks the date for the LEGOLAND Water Park debut filled with slides, wave pool, lazy river and interactive water playgrounds catered to toddlers to 12 year old kids. Like I said before, membership has its privileges. LEGOLAND Premium Annual Pass members had a sneak preview of LEGOLAND Water Park on the very first day open to the public. You know what that means? My family in full LEGO force converged on the renovated "Splash Island", the former Cypress Garden water park of year's past. 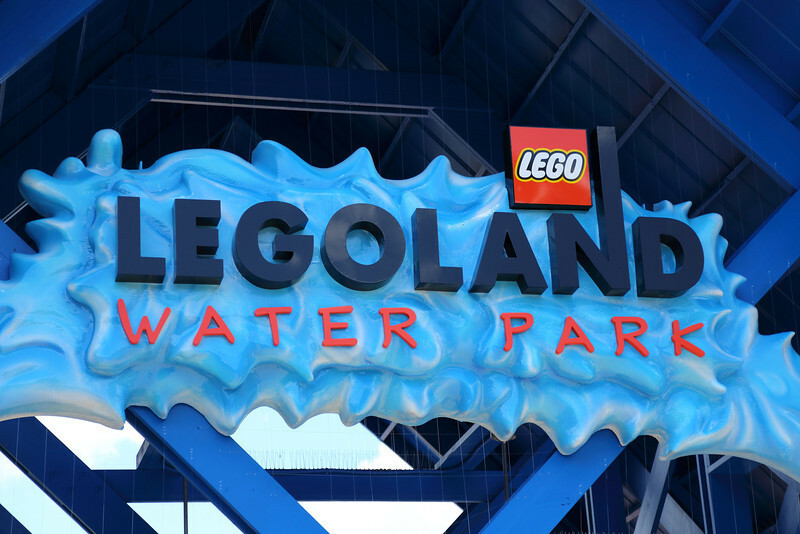 With a brand new makeover and the official LEGO branding, the new LEGOLAND Water Park was all ours for endless fun. The Joker Soaker was ground zero for my kids. 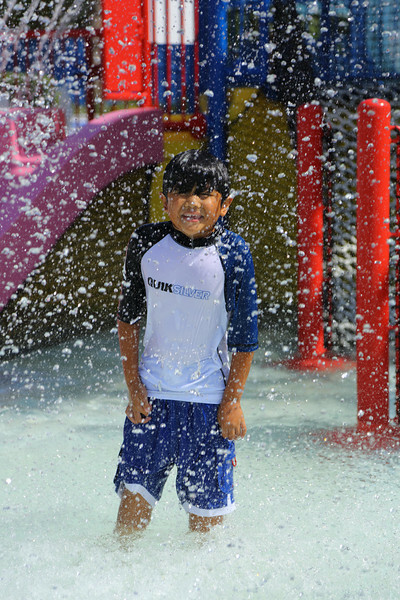 It is an enormous interactive water playground filled with slides off all sizes, water sprayers, waterfalls and water obstacle courses. For parents with elementary school kids, it is a virtual baby sitter. Rejoice! You can relax in the plethora of lounge chairs to soak up some sun or take a well deserved nap. Take comfort that an army of Life Guards are constantly patrolling the watery playground. Our next stop was the LEGOLAND Water Park lazy river. Called the Build-A-Raft River, you can just lazily float in your Bricktacular inflatable all day. Foam bricks are provided with your raft as you wind around the 3 foot deep river with glee. I pushed my kid's rafts with a Titanic send off for that couple minutes of peace and quiet. Make that two round trips of peace and quiet! Hitting the surf was as close as the LEGO Wave Pool. No massive and crashing waves here to speak of. Just gentle and rolling waves at the shore for the babies and bigger waves for the able swimmers at the deeper end. Surf's up for Central Florida! 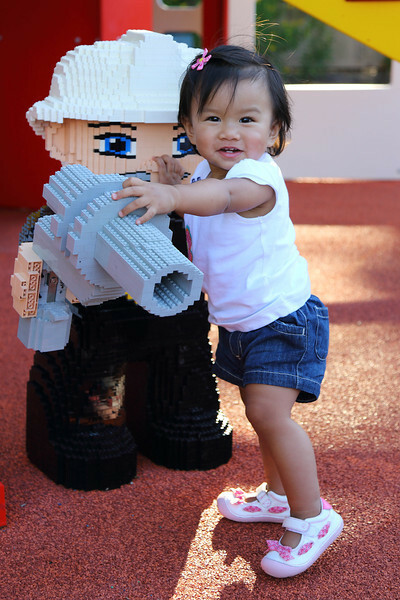 "Don't Worry, Be Happy" like my almost 15 month old daughter with DUPLO friends! Parents of toddlers don't worry as well, LEGOLAND Water Park has you covered. 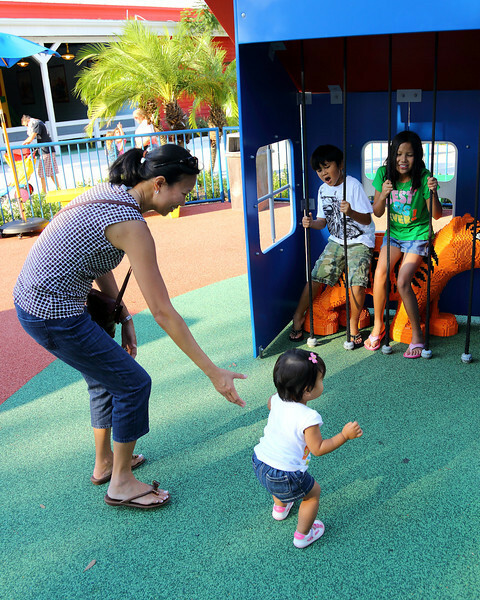 The DUPLO Splash Safari has your 2 year old kids entertained while the older siblings hit the bigger kid slides on the other side of the park. My youngest daughter missed out on the fun because of her afternoon nap. There is always next time! When your older kids are not attached to their Apple mobile devices, they can take a spin on the Splash Out and Twin Chasers. Big kid rides are big fun. They are even more fun when there is no waiting in line for the constant repeats! 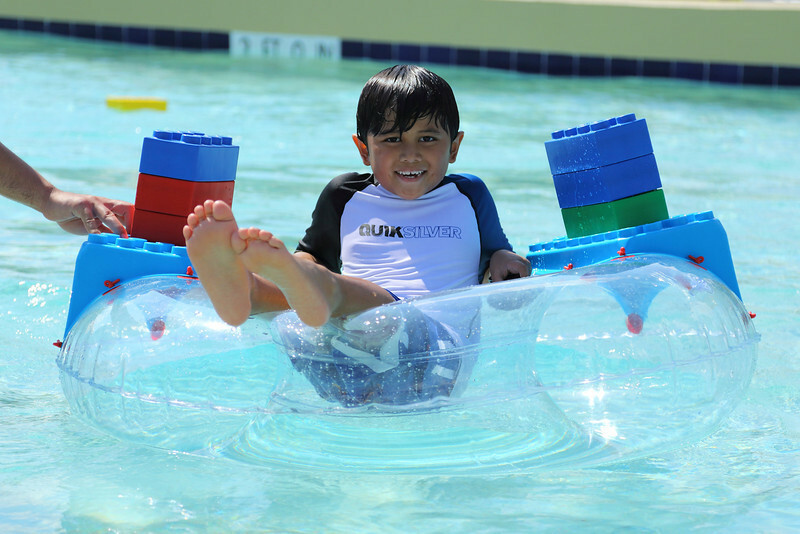 Make a bigger splash with a visit to LEGOLAND Water Park. 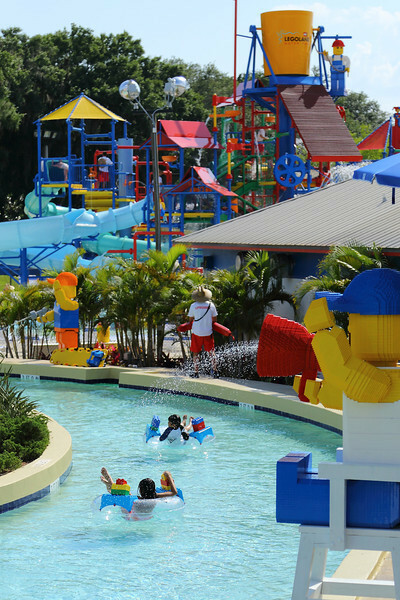 The summer heat is almost upon us and your family can cool off after a long day at LEGOLAND Florida. There are also bathing suits for purchase, lockers for your stuff and towels to dry off. Hungry? You can dine at the Beach-n-Brick Grill in the water park. "Mr Hasselhoff, your new cast of BAYWATCH is ready". 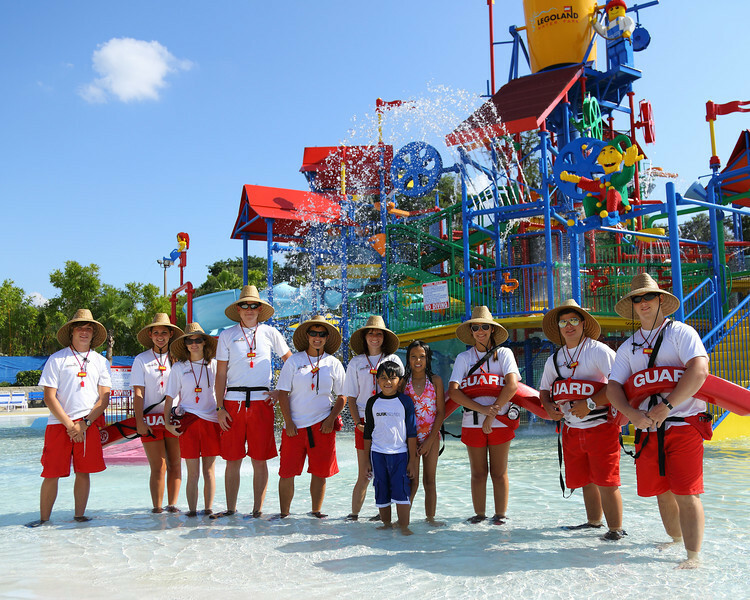 Your kids are safe with the LIFE GUARD crew of LEGOLAND Water Park. My oldest daughter even noticed there are more LIFE GUARDS than guests on opening preview day. I can take comfort in that! You can view more rides, slides and attractions in my LEGOLAND Water Park Preview 2012 Gallery shot with the Canon EOS 5D Mark III DSLR. Keep the animals safe by Becoming a Fan on Facebook Fan Page and following me on Twitter! We can really choose a lot of theme parks in Disney. Visiting theme parks is one of the most exciting activity we can have in Disneyland. Great information! 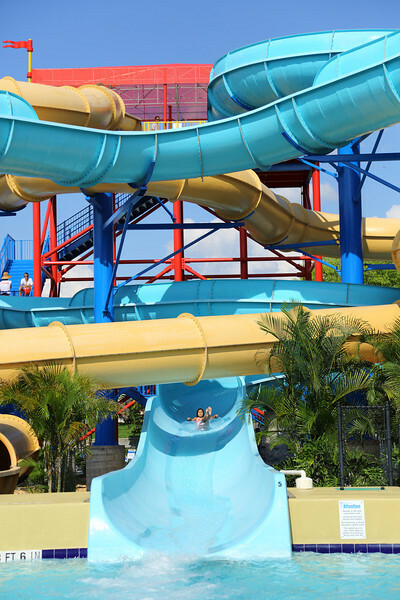 I love water parks and especially the one made of great color combination.